Bumblebees and Butterflies: A fun afternoon creating mono prints. A fun afternoon creating mono prints. Today I went shopping, intending to have a look round the sales and just have a 'mooch', but I got bored and I was home within the hour, desperate to experiment with my gelli plate. Wow, it took me back to my college days and teaching days in the classroom, what fun I had. This photo was taken after I had started clearing up, the stamps and masks were already in a sink of soapy water. The prints kept building up on the floor as I played. This being my most favourite of all. My most favourite 'ghost' prints. But saying that, now I have got them up in the craft room under better light, I have to say I love these too and can see me using them. I got 23 prints in total, so expect to see some of them in projects over the coming weeks. In fact I received the new Crafty Individuals stamps before I went on holiday and I can see them both going together really well. So more fun to have. I think I am going to have alot of thinking time with these lol. I hope you have had a great Christmas and everything went to plan. Hopefully you have got a day or two to have a bit of a rest before the new year celebrations. Thanks for all your Christmas wishes and for stopping by again to read my blog, I feel so honoured that you are here. See you Sunday for the new year challenge for Fashionable Stamping Challenges. You made yourself stunning papers, Brenda....and I love those stamps....they are so funny! Can't wait to see your creations...thanks for your kind words on my blog during 2012...hope you will still come over in 2013! Great christmas presents, I'll buy also the gelli plate, it's so much fun. Wish you a happy healthy and peaceful New Year. Your prints all look totally gorgeous Brenda and guess who's waiting for her gelli plate to turn up! Having seen these I can't wait!!! Thanks too for your Christmas wishes and hope you had a lovely time. All the best for 2013 too. 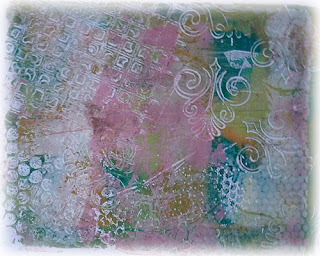 I keep hearing about the gelli plate so it's great to see you getting to grips with yours. Sure looks like you are having fun with it too. Happy New Year to you and your family - hope 2013 is kind to you. 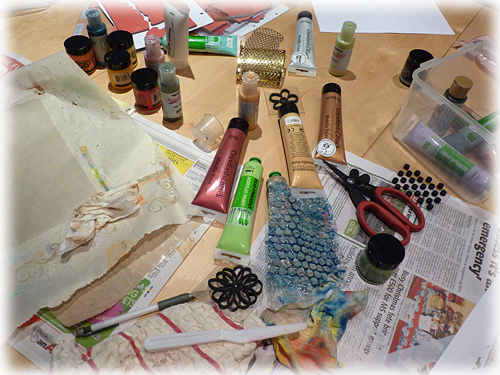 I love a gal who's desperate to get home and play with her gelli plate! Your prints are wonderful... and I'm glad you came around to seeing the beauty in your least faves... they look great to me! What fun! I've been working on my blog and need to get going on projects. These papers you've created are wonderful and will come in handy. 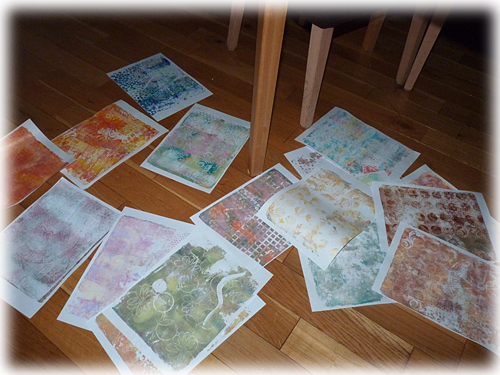 I can see you've had so much fun playing with your prints! a wonderful selection. Oh Brenda, I can see that the making of those prints had to be more fun than shopping!! I think you will put all of these to great use, even the least favs! Don't you think it just brings out the real artist in us when we are challenged to use an item out of our comfort zone? You will rock those stamps! Lucky you ;), such a plate is on my wish list. Your background are wonderful and I'm looking forward what you will create with them. Look at those papers! 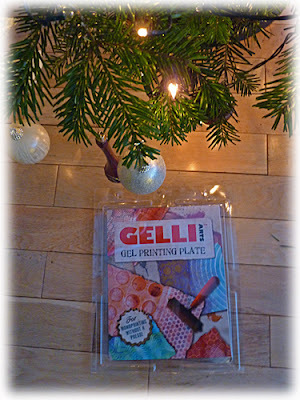 A confession, I have no idea what gelli plates are. I will google it and see what it's all about. Thanks for making my 2012 so wonderful. I always light up when I see you've come to visit!! PS. I saw a wolf in the aspen trees but I don't think I got a photo at the right angle. Those are so cool Brenda! Looks like you had loads of fun creating them. I've never tried gelli plates. You should do a tutorial!